Brexit Select Committee visits Cambridge to hear about the impact of leaving the EU on research and innovation. The House of Commons Select Committee on exiting the EU visited the Cambridge Biomedical Campus today as part of a programme of visiting all the regions and nations of the UK to hear views on the implications of the UK leaving the EU. The purpose of the visit was for the Committee to explore the implications of Brexit for the research and science sectors, such as the UK's continued involvement in EU-wide agencies and collaborative projects, access to research funding post-Brexit, and changes to the general regulatory environment. The committee started the session by asking about the proportion of scientific staff from the EU in Cambridge. 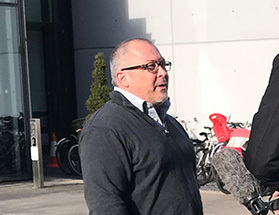 He stated that around 45% of the technical and scientific staff at the CRUK Cambridge Institute are from Europe and that the Institute benefits from the scientific expertise these people bring in from other institutes. He also added that many UK scientists leave the UK to train in Europe and many of those return, bringing back unique expertise to the UK. Moving on to the potential impact on clinical trials, Professor Hannon said, 'Another concern from clinical colleagues is their ability to participate seamlessly in clinical trials. There are partnerships that already exist within the EU. For example, Cancer Core Europe is a consortium of 6 cancer centres spread across 6 different European countries and is carrying out, as part of that consortium, 1500 separate clinical trials. 'For a lot of diseases accessing patient populations is critical, and it’s very clear why that’s important for rare diseases. But if we look at cancer, as cancer becomes increasingly classified as a molecular disease you no longer just have a subtype, for example, of breast cancer, you have a particular molecular configuration and finding sufficient numbers of patients to bring into trials needs a large population. Hilary Benn, MP probed whether, if we don’t get the right arrangements particularly in relation to the certification, validation and approval of new medicine, they may come on stream in the UK later than the rest of the EU. Professor Hannon agreed that would have a direct impact on patients, particularly those patients being treated in the most innovative and cutting edge ways. Dr Andy Williams from AstraZeneca added that it would be difficult to justify further investment in manufacturing drugs in the UK if they can’t be used in Europe. Stephen Kinnock, MP asked further questions about impact on the licencing of medicines and medical equipment, and clinical trials. Professor Hannon stressed the importance of regulatory alignment for clinical trials, stating that CRUK funds around 200 clinical trials with around 28% recruiting European patients. All four witnesses stressed the importance of retaining free movement of students and researchers. Professor Hannon also made the point that at the moment the UK attracts the best researchers from Europe. 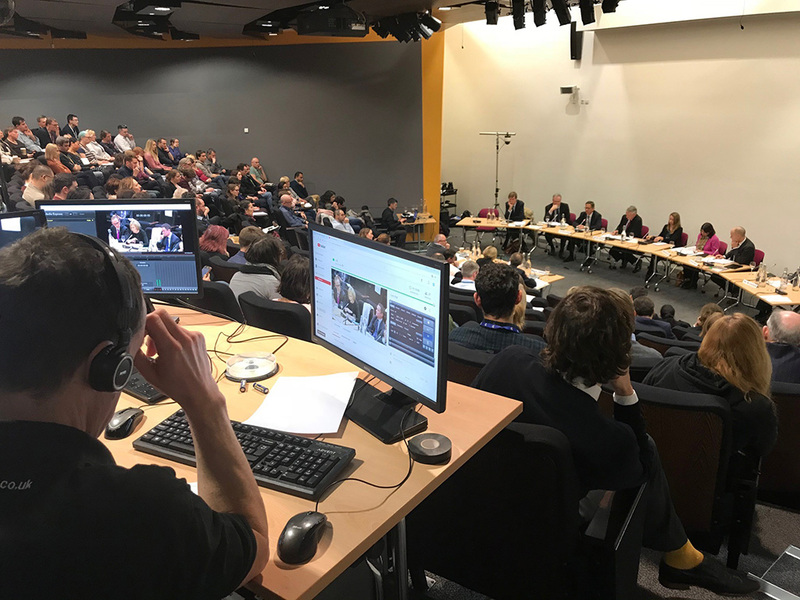 Following the public session, the Committee participated in a private roundtable discussion at the MRC Laboratory of Molecular Biology, which was attended by Professor Richard Gilbertson, Director of the CRUK Cambridge Centre.